Arguably the most important of the sacred Hindu Mantras is the Gayatri mantra. This is the mantra described in the Rig-Veda verse 10:16:3, which calls upon to the Eternal Goddess Gayatri for the illumination of the self. 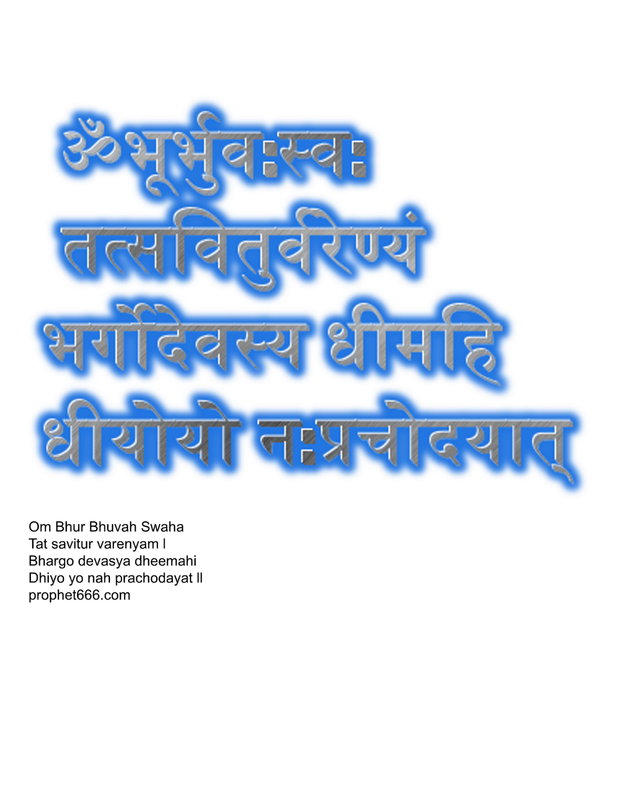 The description has been given in my post on the THE GAYATRI MANTRA. This is an image of this mantra which I have made for the benefit of seekers of the true path.